S/S Tuesday, Sept 24th. Open House Sat 28th, Sun 29th 2-4pm. OTP Monday, Sept 30th @ 7pm. 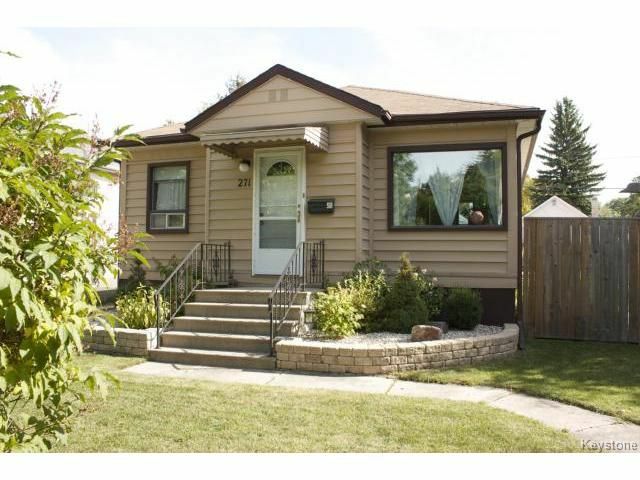 Don?t miss your opportunity to own this bright and sunny St James bungalow. Being close to all the amenities; restaurants, shopping, playgrounds and schools, makes this an ideal neighbourhood. The home has new shingles in 2011, a new hot water tank in 2008, and gorgeous hardwood floors. All of the kitchen appliances are included as well as the washer and dryer in the full size, high and dry basement. You are destined to fall in love with the gorgeous oversized backyard. It boasts of wired in lighting, a cozy gazebo area, and a fire pit to warm up by on those cool nights. There is parking space for three cars in the back with a portable garage, and an 8x8 storage shed. Potential to subdivide. Book your appointment to see this great home today.